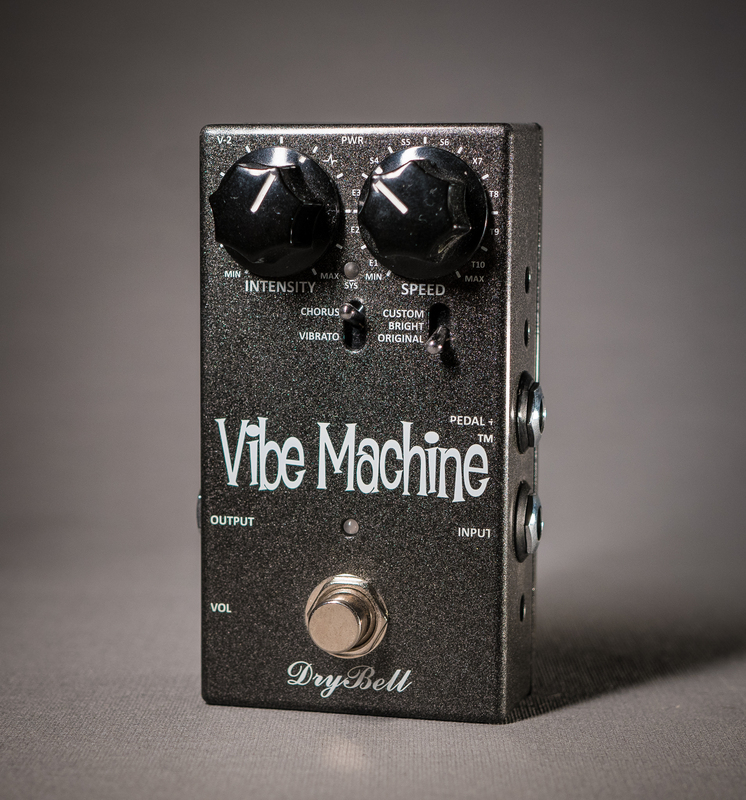 The Vibe Machine V-2 is a follow-up to the Vibe Machine V-1. It features the same optical system as the V-1 and it has the same tonal options, but 3 new ‘set and forget’ side controls have been added: CHORUS, GRIT and CUSTOM. he CHORUS trimmer adjusts the depth of vibe modulation so the user can adjust the swirl/watery/chewy character of the chorus sound. The CUSTOM trimmer adjusts the input impedance when the new three way ORIGINAL/BRIGHT/CUSTOM switch is set to the CUSTOM position.